Oxford Pillowcases - View our range of Oxford Pillowcases here at Anthony Ryans linens shop, offering excellent quality Oxford Pillowcases to suit your needs. 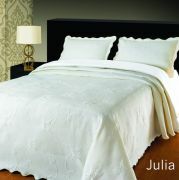 Oxford Pillowcase is for added impact and elegance, this features a wide flat stitched flange around the perimeter. The Oxford pillowcase is no larger than a standard pillowcase and still fits your standard size pillow.